The Rental Guardians property management team is quite familiar with Acacia Ridge as there is a good mix of rentals and privately owned properties in the area. The suburb contains a small offering of unit and townhouse developments compared with other Brisbane suburbs, with a large percentage of properties being standalone houses. Many of these dwellings were built post World War II and feature traditional weatherboard styling. However, as the suburb has developed a mix of low-set brick homes and more modern designs have been added to the mix. 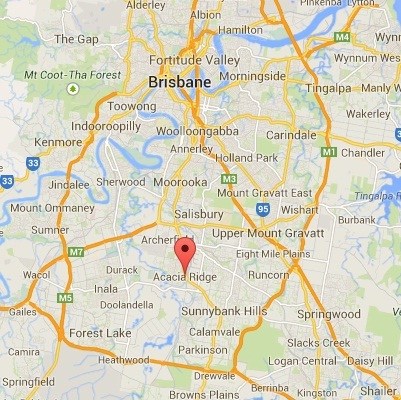 Have Rental Guardians contact you about providing Acacia Ridge property management services. Let us help you get the most from your investment with latest rent potential and market conditions relating to your property! Call us today on 1300 443 581. Acacia Ridge (post code 4110), aptly named after the abundance of acacia trees throughout the suburb is located on Brisbane’s south side, 13 kilometres from the heart of the city. Home to one of the largest railway freight yards in Queensland, the suburb does have its fair share of industrial infrastructure including the Toyota Regional Office and TAFE Queensland’s SkillsTech training campus which was formally an industrial park. Acacia Ridge shares its’ borders with Archerfield, home of the Archerfield Aerodrome, Coopers Plains, Algester, Sunnybank Hills, Sunnybank, Salisbury,and Rocklea. Acacia Ridge’s residents are made up of primarily 3 major demographics; established couples and families (45-54), Older couples and families (55-64), and independent youth (-35). Because of the affordability of rent and property prices in the suburb, it makes for an eclectic group of residents. For many of the established couples and families, this property would have been the first family home, whereas the younger population are drawn to the suburb because of its’ proximity to the TAFE. There are a number of public transportation options available for Acacia Ridge residents to use. There are a number of different bus routes including express services to the CBD. Banoon Station (Beenleigh Line) is the closet railway service, with trains heading to the city roughly ever 20 minutes. For cyclists, there are also some bikeways available with an on-road bikeway at Mortimer Rd, through Harden St, Sussex Rd and Chifley St, as well as Learoyd Rd. The property prices in Acacia Ridge are quite affordable making the area very popular with first home buyers and first time property investors alike. With median rents for the area increasing slightly over the last few years to $350 per week, the rental return for property managers represents a sound investment possibility. The capital growth for the suburb has been appreciating quickly, boasting over a 6% increase on the last 12 months and a gross rental yield of 5.6%. If you’re interested in finding out what your property could rent for in the current market, contact Rental Guardians for an Acacia Ridge rental apprasial today. 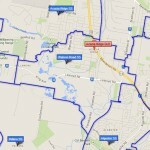 Acacia Ridge School Catchment Area: There are a number of educational facilities located in Acacia Ridge and the surrounding school catchment areas including Acacia Ridge State School, Watson Road Primary, Sunnybank High School, and Salisbury High School among others. The suburb is also home to TAFE Queensland SkillsTech Campus. Acacia Ridge Leisure Centre: Dive in to the suburbs very own aquatic centre featuring an outdoor and heated indoor pool. The perfect way to get fit no matter the season. 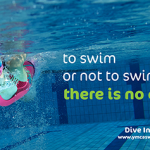 The leisure centre operates a variety of classes for children and adults including learn to swim classes and aqua aerobics. C.A. 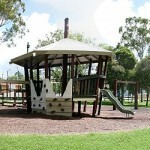 O’Sullivan Park (O’Sullivan Park): Home of the leisure centre, O’Sullivan Park is the premium park in Acacia Ridge. Featuring a basketball half court, skate park and BMX track, junior cycling training circuit and an impressive playground with shaded pinic area with electric barbeque. There is also a toilet block on-site. Ice World Skating Olympic Ice Rink: There isn’t many days when residents of Brisbane aren’t trying to escape the heat. Luckily for the residents of Acacia Ridge, the Ice World ice rink is just around the corner. 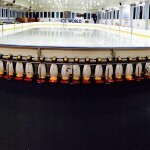 Drop the kids off for a fun day of ice skating during school holidays or take the whole family to enjoy a bit of refreshing fun!